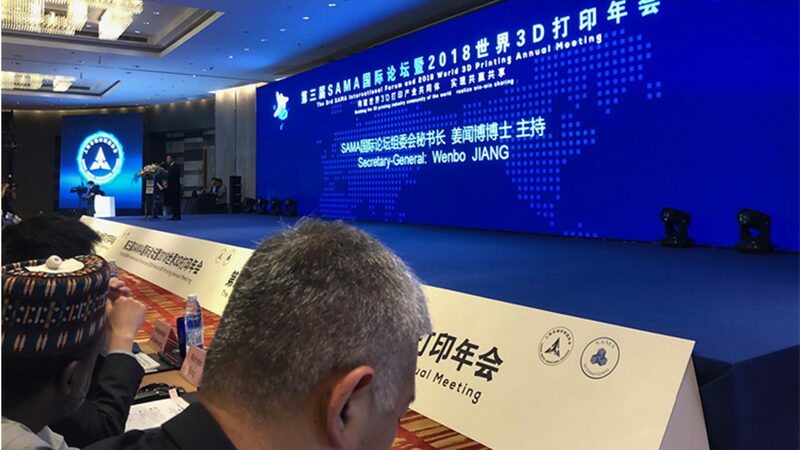 The 3rd SAMA International Forum and 2018 World 3D Printing Annual Meeting was held from 26 to 28 October 2018 in Shanghai to strengthen international cooperation, exchanges and achieve a win-win development of 3D printing industry all over the world. About 30 countries were represented and Singapore is represented by NAMIC. NAMIC is a strategic partner of SAMA and SAMIC, and co-organizer for the event. Dr Ho Chaw Sing, NAMIC Managing Director was invited by SAMA to speak at the international forum.